We've received a lot of great feedback on our Domain vs. Domain tool which has turned out to be one of our most popular new additions - so we've listened to your suggestions and added some great new features to it! 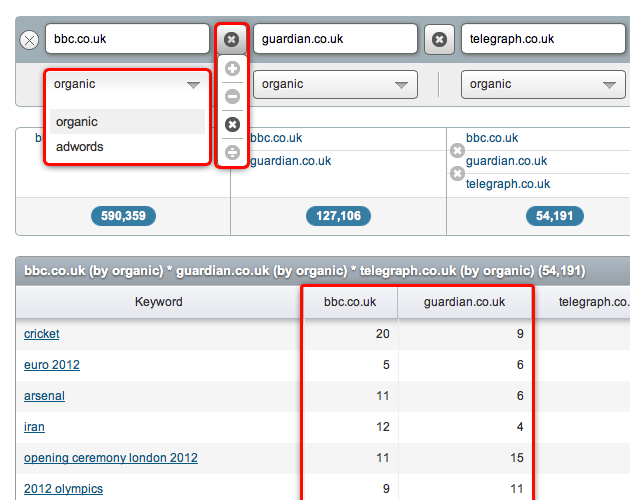 Aside from a cleaner look, you can now see a) keywords that multiple domains have in common using the multiplication symbol, and b) only the domain's unique keywords using the division symbol. Both of these can now also be used with more than two domains at a time!